To finish more work was done on the sand by adding larger pebbles, shoreline debris and strengthening the red colour of the floats. Also the figures were adjusted for tone and outlines highlighted. 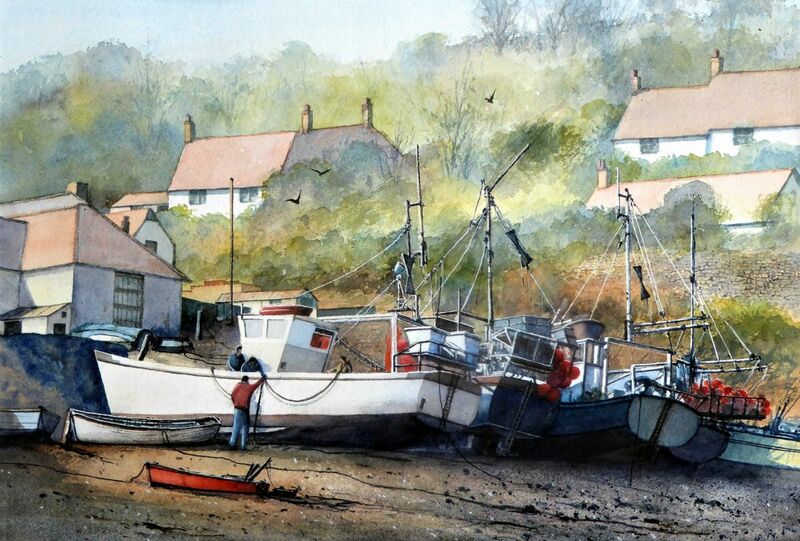 By keeping the foreground and boats strong in tone, and the background less so, helps emphasise distance, even though the hillside trees are not that far away. If a constant level of tone had been used throughout the effect of distance would have been lost which in turn would have effected the atmosphere.